Chemical ecologist Walter Leal, professor and former chair of the UC Davis Department of Entomology, and his postdoctoral researcher Zain Syed have done it again. In August of 2008, they discovered the secret mode of the insect repellent, DEET. In groundbreaking research published in the Proceedings of the National Academy of Sciences (PNAS), they found that DEET doesn't mask the smell of the host (that would be you and me), nor does DEET jam the insect's senses. Mosquitoes CAN indeed smell DEET. They avoid it because they don't like the odor. Then on Monday, Leal and Syed published more groundbreaking research, also in PNAS. They identified the dominant compound that attracts Culex mosquitoes to both birds and humans. It's a compound called nonanal, naturally produced in birds and humans. This not only explains the host shift from birds to humans, but paves the way for key developments in mosquito and disease control. 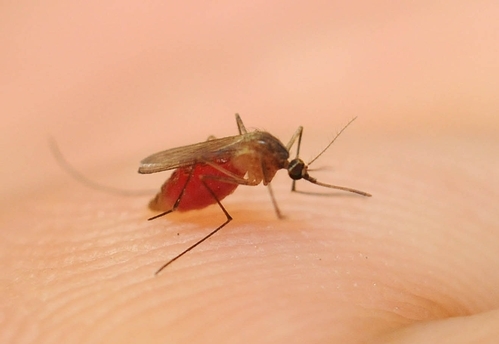 Infected Culex mosquitoes transmit life-threatening diseases, including West Nile virus. Since 1999, the Centers for Disease Control and Prevention has recorded 29,397 human cases and 1,147 fatalities in the United States alone. 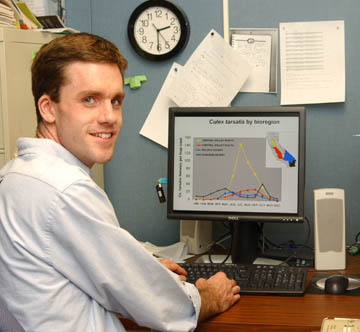 Researchers from throughout the country this week praised their work. 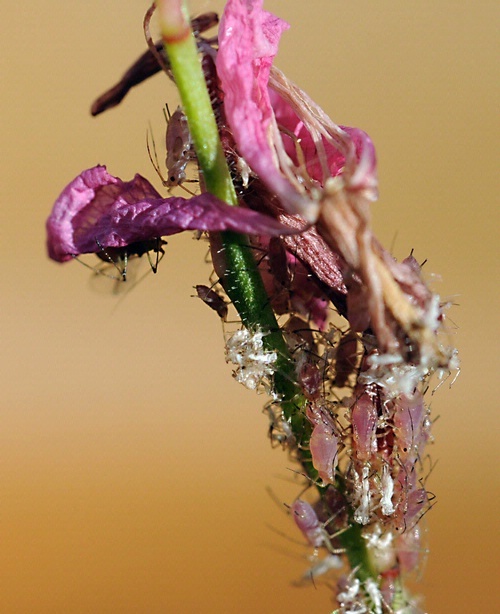 Chemical ecologist Coby Schal, a professor at North Carolina State University, described the research as representing “some of the best research on insect olfaction that I have ever read. 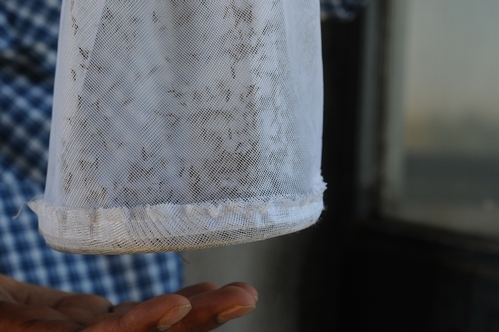 By combining trapping experiments in the field with careful characterization of the response profiles of antennal and maxillary sensilla of Culex mosquitoes, Syed and Leal show not only that the combination of carbon dioxide and nonanal is an important beacon for blood-seeking mosquitoes, but also that a large fraction of the sensilla on the mosquito’s nose (antennae) is dedicated to the detection of nonanal at incredibly low concentration. More information on the Leal lab research is on the Department of Entomology Web page. 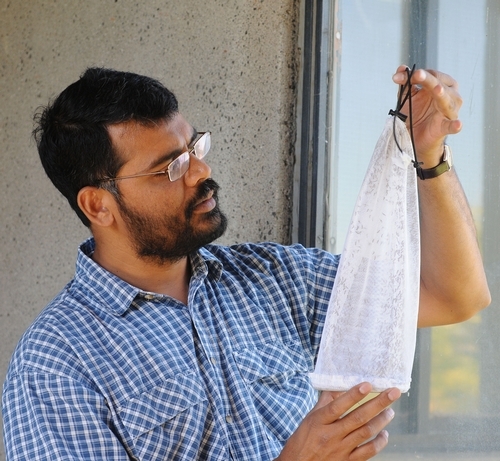 Leal, a newly elected Fellow of the Entomological Society of America (he's one of 10 entomologists to be so honored this year) and Syed, named one of the top post-doctoral researchers at UC Davis this year, have indeed done it again. When you think of all the havoc that mosquito-borne diseases have wreaked, this is the kind of research that definitely deserves a round of applause. Dr. Leal and Dr. Syed are a highly efficient and effective SWAT team. They're as long and thin as darning needles. And, sometimes they’re as difficult to find as a needle in the proverbial haystack. These slender, frail-looking insects (below) are damselflies. They fly around ponds and streams and perch on plants near the shoreline. As adults, they prey on flying insects such as mosquitoes and gnats, and in turn, they're preyed upon by dragonflies, other insects, and birds. Occasionally a spider snares one in its web. Anglers consider them good luck, especially when these brightly colored insects touch down on their fishing lines. 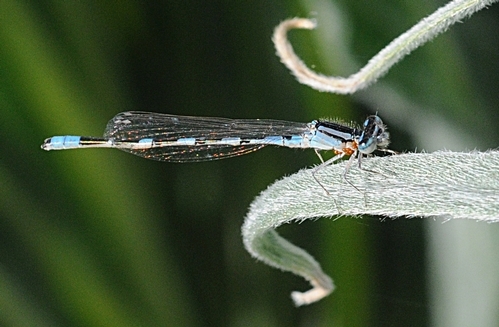 Like dragonflies, damselflies are members of the Odonata order. Their suborder is Zygoptera--in case anybody asks! Retired entomologist Jerry Powell of UC Berkeley estimates California has about 40 species of damseslflies. I saw one damselfly, probably the common bluet, checking out our backyard fish pond last weekend before perching on a tower-of -jewels leaf. 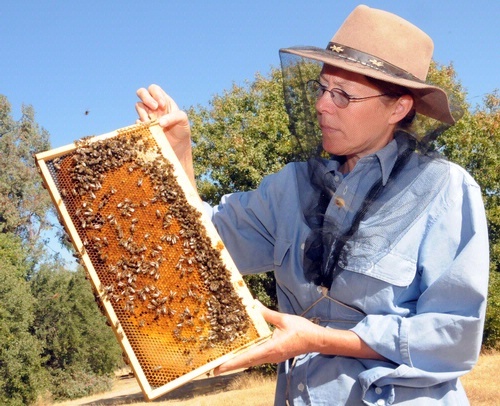 Another one was flitting about the Yolo Causeway last year while a UC Davis researcher was trapping mosquitoes. Neither looked like a damsel in distress. In fact, they looked quite predaceous.